The Tax Cuts and Jobs Act (TCJA) has been positive for the supply and demand dynamic in the Colorado municipal bond market. TCJA eliminated tax-exempt advanced refunding, which has resulted in lower municipal bond issuance this year. The new law also limits state and local tax deductions to $10,000, which we expect will increase municipal bond demand from investors. Advanced refunding issues accounted for 18% to 29% of municipal bond supply from 2012-2017. The TCJA was the largest overhaul of the US tax code since 1986, and reduces individual and corporate income tax rates, which will affect most states by eliminating or reducing exemptions and deductions that were available prior to its passage. Individual and corporate income tax revenues in Colorado will increase by an estimated $196 to $340 million a year as a result. 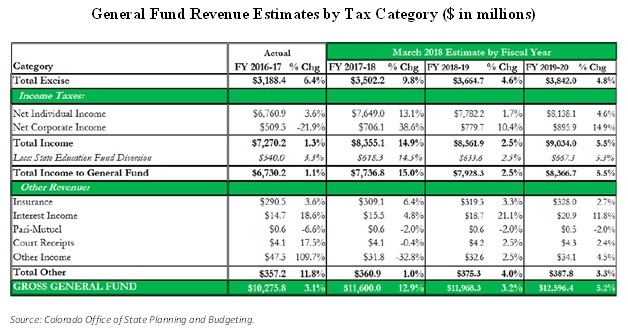 The passage of TCJA is also expected to increase Colorado’s general fund by an estimated $309.3 million in fiscal year 2017-18, $207.3 million in fiscal year 2018-19 and $326.3 million in fiscal year 2019-20, according to the Colorado Office of State Planning and Budgeting’s December 2017 forecast. The substantial growth in fiscal year 2017-18 is a one-time increase, as investors postponed capital gain sales and corporations deferred tax liabilities in anticipation of federal tax law changes. While TCJA is a positive for the state, Colorado’s Public Employees’ Retirement Association’s (PERA) unfunded liability is still a concern that we are monitoring. Senate Bill 18-200 was passed in the Colorado Legislature on May 9, 2018, to make modifications to PERA to reduce its unfunded liability. The TCJA is expected to provide consumers with more disposable income and will continue to expand Colorado’s economy at lower levels due to higher costs of living, tight labor markets and inflationary pressures as interest rates increase. Earlier this week, Oregon residents approved over $940 million of general obligation bonds across the State, which was historically strong. Although results have yet to be certified, and therefore still preliminary, bonds approved by this election far outweigh the $852 million approved at the previous Oregon November special election in 2017. There are four scheduled election dates in Oregon each year: the 2nd Tuesday in March; the 3rd Tuesday in May; the 3rd Tuesday in September; and the 1st Tuesday after the first Monday in November. In November 2008, Oregon voters approved Ballot Measure 56, which repealed a law requiring more than 50% of a county’s registered voters to vote in bond measure elections held in May and November. As a result, the May election has become an important election to follow for new bond measures. By election measure, approximately 59% of the bond issues were approved; however, 80% of the total requested par amount was approved by voters. Oregon typically sees more ballot measures during general elections, which are held in November, of even-numbered years. Accordingly, the current election falls flat versus the 2016 November general election, which approved a staggering $1.76 billion of new supply. 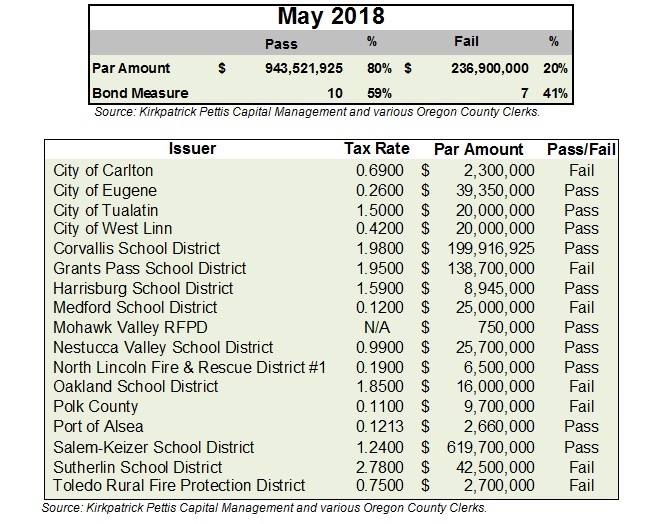 Election results were dominated by Salem-Keizer School District’s $620 million issue, which is estimated to cost taxpayers $1.24/$1,000 of assessed value. Overall, 90% of the total par-amount approved at the election was for school districts making capital improvements to existing facilities and constructing new facilities to accommodate enrollment growth. Furthermore, a significant marketing point for several of the school bond issues was the Oregon School Capital Improvement Matching program, which is a grant program, offered by the Oregon Department of Education for the support of communities that pass general obligation bonds for school improvements. Some elections were closer than others. Nestucca Valley School District’s general obligation bond was last reported as being favored by only 21 votes. If approved, the bond measure would fund the construction and renovation of school facilities. Also, tax-rate and the overall par amount requested did not seem to weigh into voter decisions as much as demographics and geography. For example, both measures in Douglas County failed. 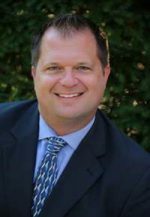 The election also approved a wide variety of projects ranging from park and recreation facilities and road improvements to addressing overcrowding and safety in schools. Overall, this election will provide a significant source of additional supply to the Oregon bond market. The year has been off to a slow start, and while this election will help alleviate some of the supply concerns, we expect that issuance will be lower this year than last year. Do the New Municipal Security Transaction Rules Affect You? The Municipal Securities Rulemaking Board’s (MSRB) proposed revisions to rules G-15 and G-30 were approved by the Securities and Exchange Commission in November 2016 and became effective on May 14, 2018. The amendments add transparency to transactions involving municipal securities purchased by individual investors. The total dollar amount of markup/markdown (compensation received) in price. The total percentage amount of markup/markdown (i.e. a percentage of the securities prevailing market price). The time of the trade along with the security identifying number (cusip number) and a reference or hyperlink to the MSRB’s official repository for information; Electronic Municipal Market Access (EMMA) which can provide trade price data. This information pertains to same-day off-setting principal transactions for retail clients. The benefit of the new rule is that investors are provided with a heightened level of fee transparency; an outcome that is in the investor’s best interest. Prior to the revised MSRB rules, most individual municipal security transactions executed over-the-counter at a net price did not include a disclosure of fees or purchase costs. The new rules will give investors important information about the cost of purchasing individual municipal securities. Either in addition to, or as an alternative to, purchasing individual bonds, investors seeking tax-exempt income can also take advantage of the benefits of investing in municipal bond mutual funds. 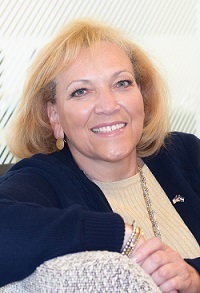 Particularly during periods when the supply of available municipal bonds is low, mutual funds, which routinely invest large dollar amounts on behalf of all fund shareholders, may have opportunities to invest in bonds that are available in the institutional market, but not available in the individual retail bond market. 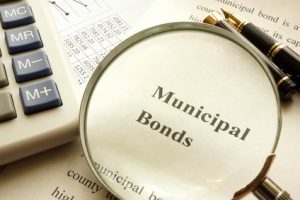 Due to the large dollar amounts invested by municipal bond mutual funds, they may purchase bonds at prices available to institutional investors, and thereby, enhance the trade execution on behalf of all fund shareholders. Bond mutual funds report expenses and fees in the prospectus. For over 30 years, Aquila Group of Funds has sought to provide municipal bond fund investors with as high a level of double tax-exempt income as is consistent with preservation of capital. We offer single-state municipal bond funds in seven states, and our locally based portfolio managers and credit analysts have an up-close perspective on bond issuers and the economy in their states. We believe this gives them valuable insights about the economic and political climate of each state, which allows them to manage interest rate and credit risk by consistently maintaining broadly-diversified, high-quality bond portfolios of intermediate average maturity. Before investing in a Fund, carefully read about and consider the investment objectives, risks, charges, expenses, and other information found in the Fund prospectus. The prospectuses are available on this site, from your financial adviser and when you call 800-437-1020. On July 20, 2017, Moody’s Investors Service (Moody’s) downgraded the Commonwealth of Kentucky’s issuer rating to Aa3 from Aa2. 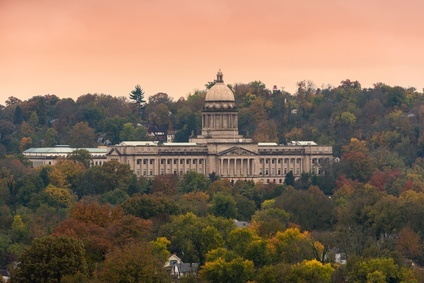 Simultaneously, other Kentucky government entities were also downgraded, including Kentucky’s general fund appropriation lease revenue bonds to A1 from Aa3, Kentucky’s agency fund appropriation lease-revenue bonds to A2 from A1, the Kentucky Public University Intercept Program to A1 from Aa3, the Kentucky School District Enhancement Program to A1 from Aa3, and the Kentucky Turnpike Authority to Aa3 from Aa2. Reasons cited for the downgrades were the large unfunded pension liability, high fixed government costs and revenue underperformance. Moody’s credit outlook for the state remains stable. Aquila Group of Funds’ seven single state municipal bond funds were recently included in a US News and World Report Best Funds list for Municipal Single State Intermediate Funds. For over 30 years, we have sought to provide municipal bond fund investors with double tax-exempt income and preservation of capital. We seek to manage interest rate and credit risk by consistently maintaining broadly-diversified, high-quality bond portfolios with an intermediate average maturity. Our locally based portfolio managers and credit analysts have an up-close perspective on bond issuers and the economy in their states. We believe this gives them valuable insights about the economic and political climate of the state and the financing needs and the capabilities of individual issuers. The U.S. News Mutual Fund scores assigned to the 65 funds included in the Municipal Single State Intermediate Category is produced using an equal weighting of the overall ratings provided by their data sources (Morningstar, S&P, Lipper Leaders, Zacks, and TheStreet.com ), and was published on 11/22/16. Individual fund rating systems are normalized to a 100-point scale based on point totals assigned to individual scoring systems. For example, each star from Morningstar would receive 20 points. The U.S. News score is calculated by dividing total points awarded according to their system by the five data sources. The Combined U.S. News Mutual Fund Score ranks funds numerically based on the score and funds with identical scores are awarded the same numerical ranking.